Carowinds introduced a new Mack Double-Launch Roller Coaster for the 2019 season. Carowinds’ new roller coaster has two launches and uses and LSM launching system (Linear Synchron Motor). The coaster has two launches with five inversions during the length of the ride. The track’s length is 3,255 feet. What is unique about Mack Launch Coasters and what they are known for is the hangtime. Hangtime is when the roller coaster train is in the middle of an inversion. When in this position the train of the coaster is slower to complete the inversion and it gives riders floater airtime or a stomach sensation. 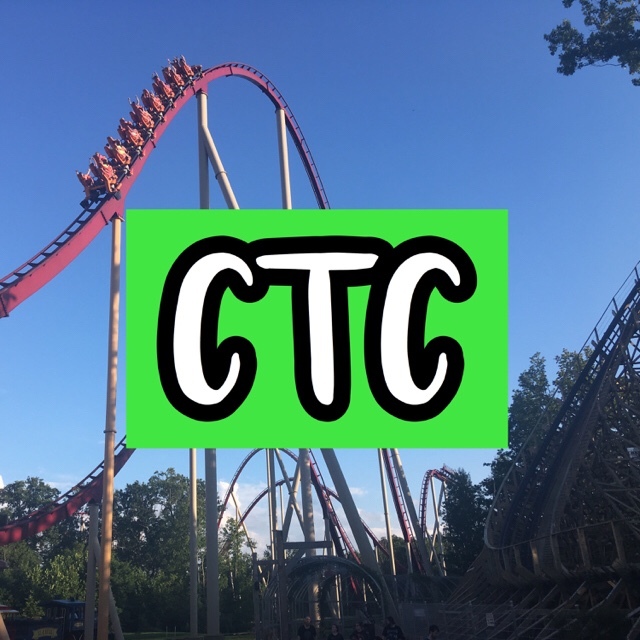 I got the chance to experience the roller coaster during my visit to Carowinds last weekend. In this post, I will be sharing My Thoughts of the ride but I will not be sharing my rankings for the coaster in the park. For that, you will have to watch my video that will be coming out very soon on my YouTube channel. When I waited in line for the roller coaster for the first time I did not get to take in all of the theming. It was only a 15-minute wait. I really like the new area of the park and the theming. I think it fits the ride and the park nicely. The theming in the queue for the ride is very good and is the best in the park in my opinion. There were many different cool props in the queue line. The queue line had a decent amount of shade so on a hot day with long lines guests will not be waiting in the hot sun. The station also has good theming. The operations for the ride are pretty good. The exit of the ride is in a good location for the coaster for entrances of the various programs that Cedar Fair offers for guests. Operations for the ride are very good. The lap bars for the coaster are comfortable and deliver a good ride experience. Due to the hangtime, this type of restraint has to be comfortable. The trains also look very cool. When exiting the station a message is played with static “You can’t run from Granny” and the old-time music is played. While hearing that inversion you experience a Jo-Jo roll which provides excellent hangtime. Inside a building where the first launch takes place is unique. There is some decent theming inside. The first launch into the vertical loop is strong. The hang time on the first inversion is excellent. This personally isn’t close to my favorite element of the ride, though. I was very surprised by the first airtime hill following the inversion. I got very good sustained ejector airtime on it. It was more forceful than I expected. The corkscrew after the airtime hill didn’t provide as good of hangtime, but I still thought it was a good inversion. The bank and next airtime hill gave me strong floater airtime and a little ejector. It was appropriate and not too strong right before the second launch. The second launch isn’t as good as the first in my opinion but the airtime hill and the outerbanked inversion that follows is one of the strongest parts of the ride. The hangtime during that part of the coaster is phenomenal. The bank and vertical inversion after still provide good airtime and hang time but not as good as right after the launch. That is another strong point during the ride experience. The banks and turns during the rest of the ride provide some good floater airtime and a little ejector airtime. I overall thought that Copperhead Strike was a great fit for Carowinds. It was the largest investment the park ever made (Mack coasters are very expensive). Guests were mixed in their opinions on it. Some thought it didn’t live up to the hype and expectations people had, while others thought it was a great ride experience. It didn’t exceed my expectations but it was still a great ride experience. The coaster has some good airtime moments and great hangtime. It is a very fun roller coaster. It also has some intense moments too. I highly recommend riding it if you get out to Carowinds in the future! I’m looking forward to Copperhead Strike. Looks like a great addition to Carowinds. It is a great addition to the park! I’m sure you will enjoy it! Thank you for reading and I am glad you enjoyed the post! Great review of the new coaster Copperhead strike! I like all inversions the new coaster has as well as the airtime! Coaster goes through two launches which is really cool !! Thank you for reading! I am glad you liked the inversions, airtime, and launches of the coaster! All of those components make the ride great! I had a great time! No, they didn’t because they had something else to do during the day Saturday and the whole day on Sunday. But, we visited them on Friday night and then went out to dinner at a Mexican restaurant and then got ice cream on Saturday evening. The roller coaster is an aggressive thrill ride; people who don’t like adrenaline activities won’t like it. Thank you for reading! PreviousCarowinds Opening Sunday 2019 Trip Report!